For veteran music listeners who've experienced the rise and fall of countless musicians, the nearly inevitable demise of someone once adored is a palpable fear that must be faced. Whether due to dated musicianship, lackluster content, or embarrassing trend-hopping, there's next to nothing stopping father time from ripping the creative blossom from a former innovator. Being rather young, this hasn't happened to me yet. However, with Boomiverse, I got my first taste. Big Boi's career is one that needs no defense. He's a Hip-Hop legend, creating Outkast, possibly the most influential Rap group of all-time, with his longtime counterpart Andre 3000. The accolades, both critically and commercially, run the gamut. 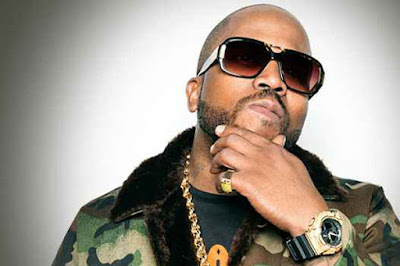 On top of that, as his celebrity began to dim in recent years, Big Boi branched out through some risk-taking ventures; first with 2013's Vicious Lies & Dangerous Rumors, an album that featured Indie acts like Little Dragon, Jai Paul, and Wavves, then on 2015's EP Big Grams, a collaboration with the slick Synthpop duo Phantogram. In other words, by the very definition of an artist, there wasn't anything he hadn't achieved. Unfortunately, with Boomiverse's ingenuousness, the time for regression has arrived. Reality has set in; Big Boi's obsolete. It's a damning statement to make, especially coming from someone who proudly laments him as a top five emcee of all-time. 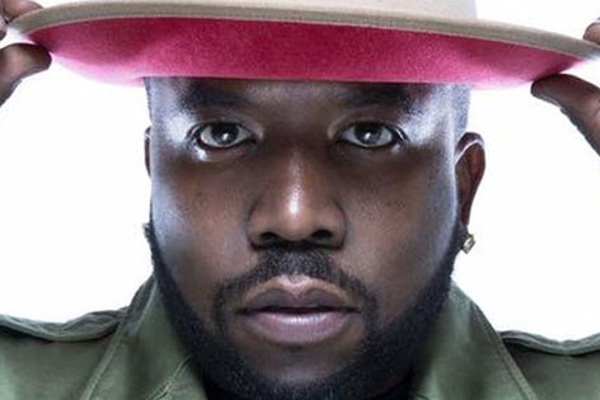 While the writing wasn't on the wall musically, an exploration of his presence in Atlanta and on social media gave credence to the fact that Big Boi aimed at releasing Pop Rap hits infused with that Southern edge for an aging club scene. When 'Kill Jill' and 'Mic Jack' dropped, that's exactly what we got. One satisfied the car-rattling banger, the other the dance floor grooves. Right then and there it was immediately apparent risks were off the board, as Big Boi so plainly stated in 'Kill Jill' that "usually I don't do this, dumb it down go stupid." Theories abound, Boomiverse's Southern-centric output may have been the result of a city turning the cold shoulder on its originator for working outside its parameters. Indie doesn't fly in ATL, and neither did either of Big Boi's two recent projects. Boomiverse is his response to that, an album composed strictly of club-ready anthems, inflatable egos, trivial drivel, and watered down Trap. What's most unfortunate is that the best part of Boomiverse is Big Boi himself, with flows and a personality that still contends with his prime Outkast work. Problem being, the content does not. Not a single moment spread through these 12 tracks feels like genuine Big Boi, at least with what we've come to expect. All the braggadocio, sexual innuendos, and street-leaning teachings bubble onto the surface, something that was typically hidden under more compelling dialogue of the past. From 'Get Wit It's' in-the-know indoctrination to 'Freakanomics'' experience with sexual miscreants to 'Order Of Operations'' money-making schemes, Boomiverse never falls short on tasteless content that's been abusing the south for decades now. I mean, look at the title and cover; it's clear Big Boi has nothing interesting to say. 'Kill Jill' and 'In The South' act as stereotypical southern showboating, all talk and no bite, evident by the choice of artists rapping alongside Big Boi (Killer Mike and Jeezy, Gucci Mane and Pimp C, respectively). Then there's the hackneyed cuts for the ladies who feel left out, like 'Mic Jack,' 'All Night,' and 'Overthunk.' Somehow, I'm able to wash down these latter cuts easier as they remind me of the slight Funk and Soul captured on Sir Lucious Left Foot. That's excluding 'All Night' of course, which proudly flaunts a giddy energy reminiscent of Biz Markie, and is likely Boomiverse's riskiest cut. 'All Night' actually has an antithesis though, and that comes in the form of 'Chocolate.' Equally as jarring and unexpected, the farty bass, pitch-shifted vocals, and atrocious lyrics feel like an experiment gone wrong. It brings about comparisons to a current Pop Rap embarrassment: Macklemore. Replace one with the other, put 'Chocolate' up alongside 'Downtown' and 'Brad Pitt's Cousin' on This Unruly Mess I've Made and it'll fit comfortably. Only 'Freakanomics,' which falters off lyrics as well, comes close to the destitution that is 'Chocolate.' On the whole, the lack of identity might be Boomiverse's greatest gaffe. Never before has Big Boi been behind the trend and, more often than not, he's been leading it. Here, ideas emerge from the present Pop Rap scene ('Overthunk') to the late 2000's Ringtone era ('Freakanomics') to Trap's rusty origins ('In The South'), but never from Big Boi himself. Hell, even 'Order Of Operations' borrows from Kendrick Lamar's 'Swimming Pools,' just without an ounce of parody to combat the ill-advised greed. It's as if Big Boi wanted to remain relevant in his hometown, all whilst forgetting that he's still one of the coolest artists to rise from those streets. There are a handful of times the polar bear's toenails comes through on Boomiverse, like on the album's intro 'Da Next Day.' It's the only track that doesn't abide by a solid structure, choosing instead to offset a fiery introductory verse with spoken word prophecies courtesy of generation one Dungeon Family member Big Rube. Then there's Big Boi's scattershot flows on efforts like 'Kill Jill' or 'Follow Deez.' This last track is Boomiverse's best, combining excellence from Curren$y, Killer Mike, and Mannie Fresh on production duties. It's grimy, concentrated, and reminds me of the cream of the crop on the otherwise inconsistent Got Purp. Vol 2. Likely a returning of the favor, despite Boomiverse's inferiority, Killer Mike (who appears on three tracks) flaunts his talents in much the same vein he would on a Run The Jewels album. 'Made Man's' verse in particular is extraordinary, using modern day Trap flows with golden age lyricism. Unfortunately, the same merits can't be applied to the other featured artists as inconsistency runs rampant (Gucci Mane's terrible, Snoop Dogg surprisingly effective). All that being said, Boomiverse is a monumental disappointment for someone who once stood stoically atop Hip-Hop's totem pole. Receding to the shadows like Andre 3000 may be a wise move for Big Boi's legacy.